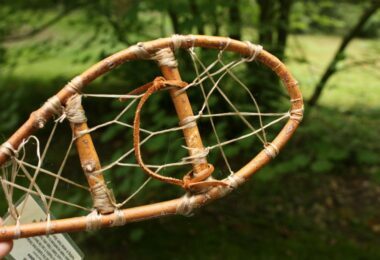 Whether you’re a seasoned hiker or a beginner, there are more than a few risks that you will continually face when out in the wilderness. You can consider weather, terrain, people, and of course wildlife as potential sources of risk while out there. In many localities, bears are the most frightening prospect to encounter while on a hike. 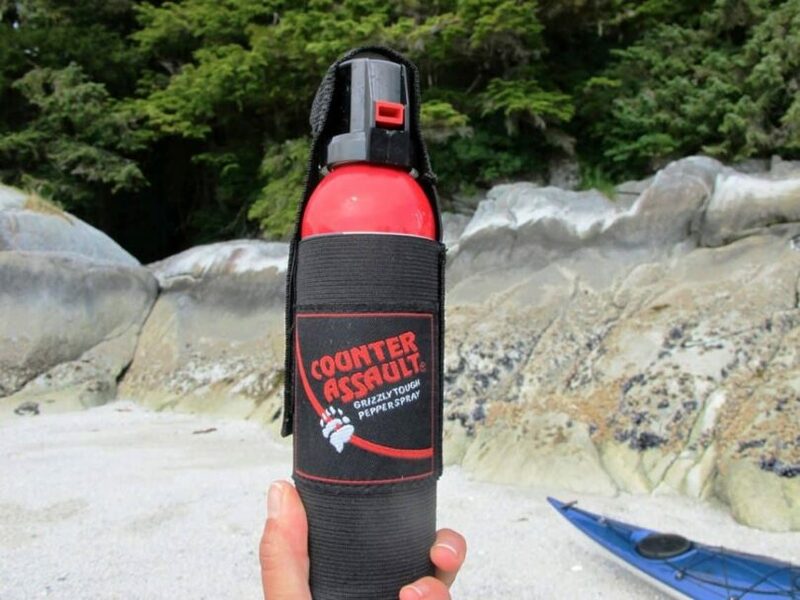 And we’ve all heard the different ways to deter these creatures but if you’re like most people, you’ve probably at one point asked yourself, “does bear spray work?”. The short answer is yes it works. But you’ve probably heard about a bunch of scary stories about bears. Some of them may have been embellished for the sake of a good story or may be hearsay altogether. Others might be more accurate. So before you allow some preconceived notions which may or may not be misguided, here’s a bit of information on what you’re up against before we go into the bear spray. Bears are depicted in cartoons as cute and cuddly creatures, often as very friendly forest denizens or as friends to many childhood protagonists. In reality, however, they are hugely different. These majestic creatures are found in forested mountainous areas in North America, Asia, and Europe. Among all bears, it is the most geographically distributed. These bears can grow to be quite large with the more known species being the grizzly and Kodiak. They are omnivorous mammals that can grow to anywhere between five to 8-feet in height and on average weigh around 700 lbs. They are known to be able to reach speeds of 30 mph. And while they are called brown bears, their coat color can vary. They can be brown, dark brown, to practically black so the “brown” monicker can be a bit misleading. Their faces have a concave shape to them. Their backs are characterized by a hump that protrudes from their shoulders. These last two things are what fully set brown bears apart from their black cousins. Brown bears are known to forage most of their food in the mornings and evenings and spend most of their days under the shade of vegetation. During autumn they are known to range for hundreds of miles in search of food to prepare for winter hibernation. In terms of their interaction with humans, brown bears are usually not a pervasive threat. They are not naturally aggressive towards people. Most encounters will usually end with the bear leaving. Though there are 2-3 recorded brown bear fatalities per year. And these fatalities only ever occur when the bear is taken by surprise. 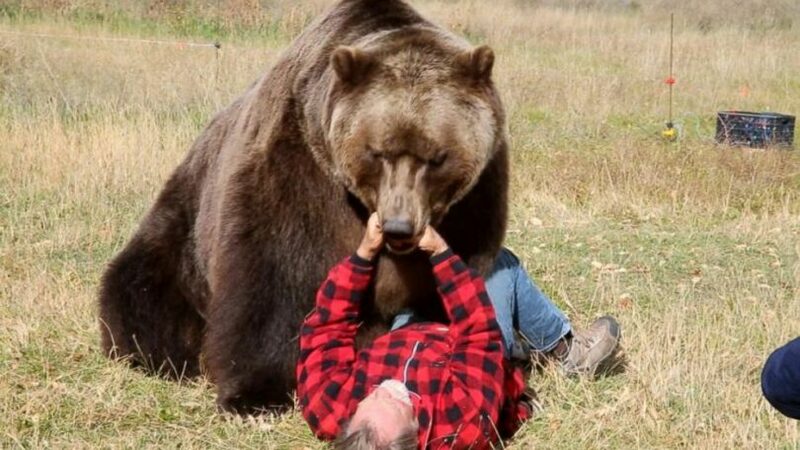 Generally, brown bears will only act aggressively towards people when they feel they are being threatened. Now, this can be because the bear feels that her cubs are in danger (which is the more common cause), or that you are close to a kill that it made. With this in mind, when a brown bear attacks, it will most likely be a defensive attack. When this is the case you will want to project yourself as a non-threat. If the bear perceives that there is no more danger, then it will leave you alone. However, on the flipside, if you attempt to antagonize it further, it will continue to see you as a threat and will continue to fight for its own safety. Given that these creatures are way bigger, faster, and stronger than people, it’s suggested to make it feel safe as soon as possible. 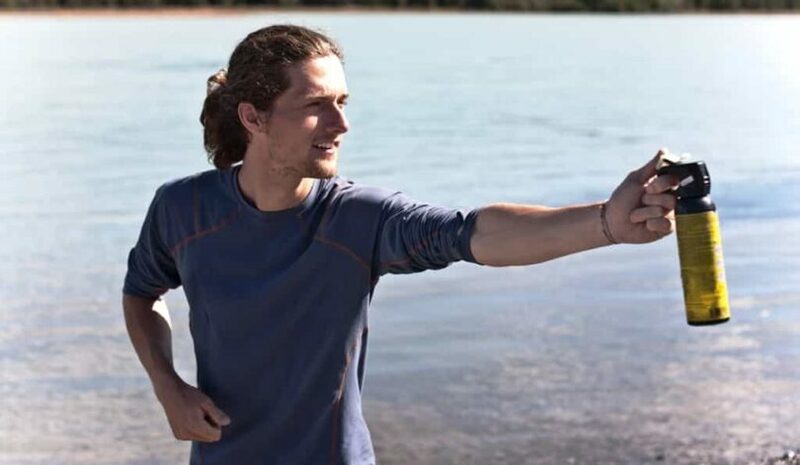 If it is downwind of you, or if the wind is negligible, you can resort to using bear spray. This may provide the bear with enough of an incentive to back off. If the attack does persist, it is suggested you should be in a prone position with your legs wide apart and both of your hands protecting the back of your neck with your elbows as far apart as possible. The goal is to stop the bear from flipping you over. Having a backpack helps absorb potential damage as well. Stay quiet, and keep as calm as possible and it should leave. While these animals are far smaller than their brown bear cousins, they are no less of an intimidating sight to see in the wild. They average around 275lbs and are usually in the area of 5-6ft in height. As with brown bears, the color is a bit deceptive. Black bears coats can be brown, cinnamon, blonde, or black. 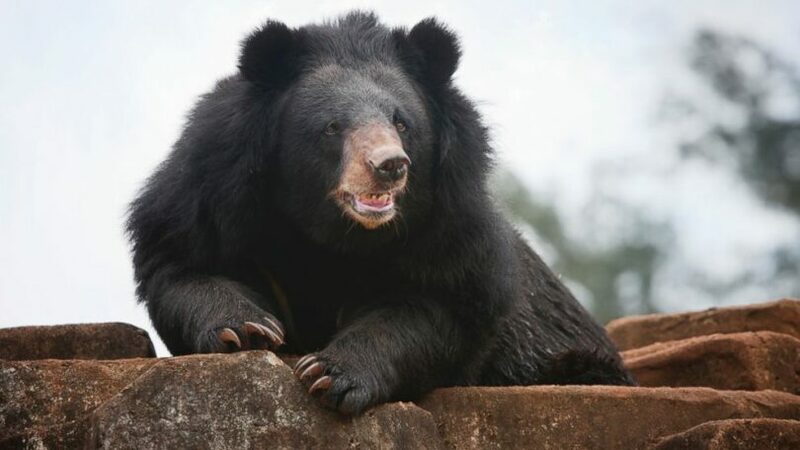 Black bears are very adaptable different species of black bear can be found around North and South America, Europe, and throughout Asia’s varying climates as well. These are fairly intelligent creatures that will thoroughly assess any potential food sources and threats. Though they are smaller and are generally less aggressive than the brown bears they shouldn’t be underestimated. 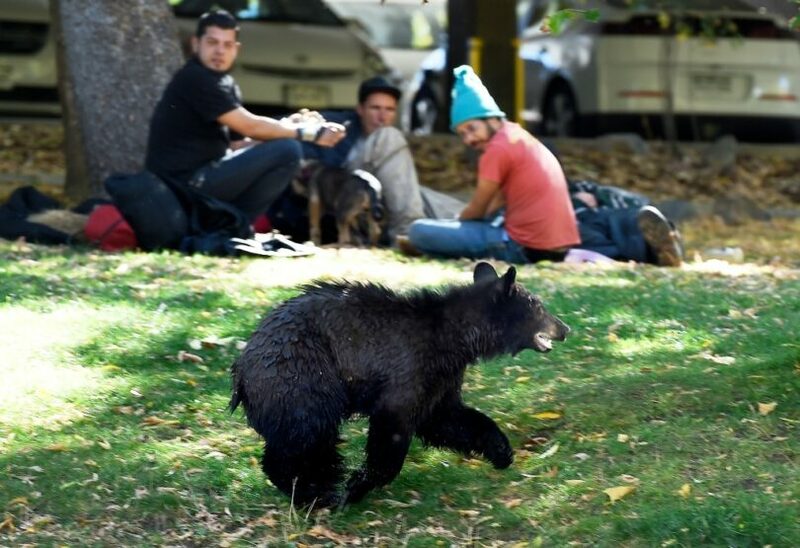 In general, black bears will avoid humans, especially if they are made thoroughly aware of the human’s presence. They are usually not a threat to humans. Normally, these creatures’ response to danger is to retreat to a tree and climb. Though they will mock charge, and make noise to make themselves more intimidating. A surprised bear is often an agitated one. 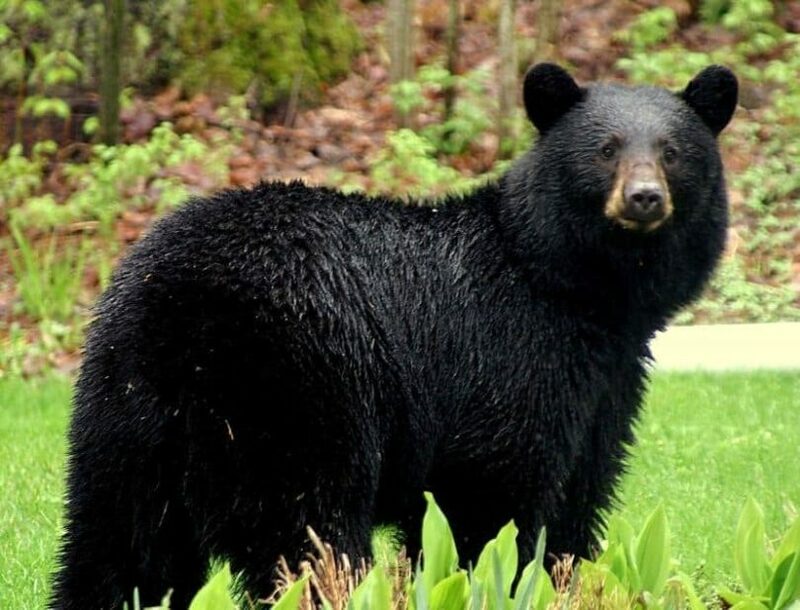 With regard to attacks, black bear attacks happen far more often than with any other type of bear. This is primarily because of their larger numbers. Also, it’s worthy to note that there are far fewer lethal black bear attacks than there are brown bear attacks. Dealing with a black bear is a totally different affair from one with a brown bear. Black bear attacks are often more offensive in nature. Meaning they are actively seeking out food. If this is their behavior, going prone or staying in fetal position is probably a bad idea. Primarily because it doesn’t see you as a threat, rather as a potential source of food. If it sees you as vulnerable then it will continue its aggressive behavior. In contrast to their brown cousins, you should project yourself as a large creature, one that is intimidating and dangerous. Making a lot of noise helps with this, and if you’re in a large group you’re way better off. If you aren’t able to pull bear spray on it as it approaches, you should never run. These creatures are much faster and stronger. Your best bet is to stand your ground, make noise. If it does continue to attack, fight back. The eyes, nose, and snout area are where it is most vulnerable. If in a group, and one of you gets tagged, immediately come to the aid of the person who is being attacked. The sooner that the black bear thinks that you are potentially dangerous or that it is outmatched, it will naturally retreat. 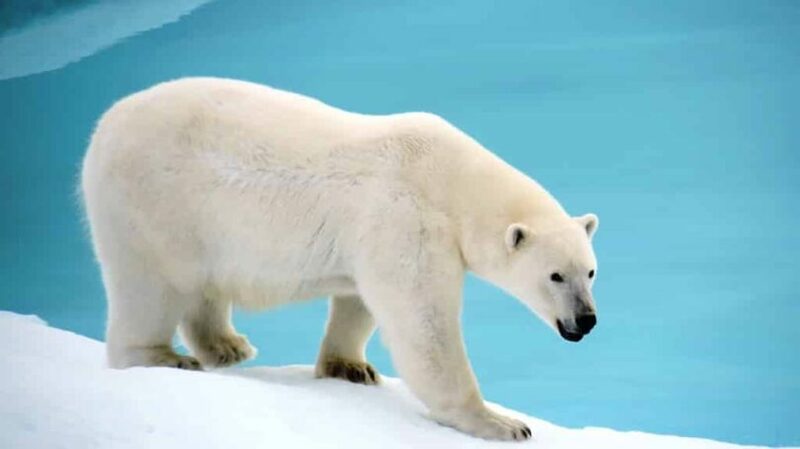 Polar bears are far less common than the two mentioned above. Aside from man-made enclosures, the only places you will probably ever find them is in the world’s arctic region. And on sea ice. Chances of an encounter are extremely unlikely. The general rule of getting out of its way as quickly as possible without turning your back on it or running away is the ideal. Now that you might have a better picture of how sizable the threat is, you’re probably wondering about bear spray effectiveness and how the stuff works. Especially given how fearsome these creatures can be. 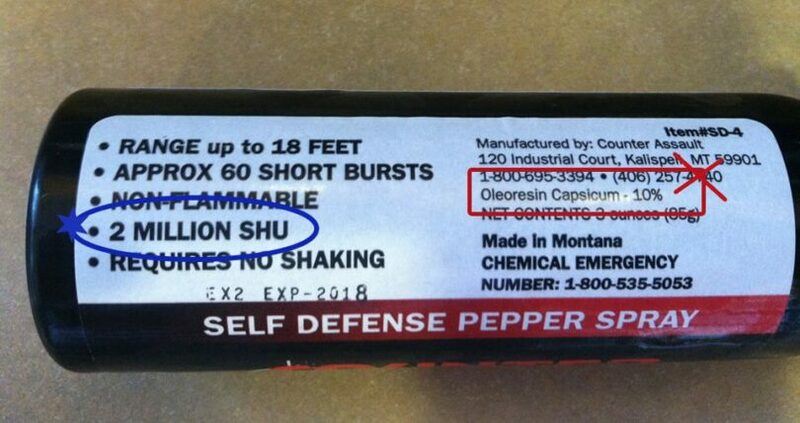 Bear spray usually has a mixture of Oleoresin Capsicum which is oily residue acquired from hot cayenne peppers and a base fluid to dilute the OC. After that aerosol propellant is added to give the mixture the ability to be sprayed from a canister. 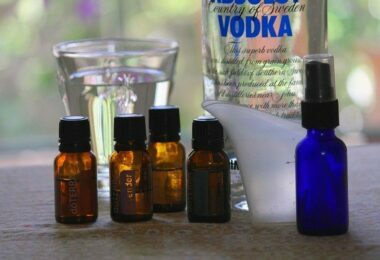 The result is a very strong mixture that has roughly ten times the potency of pepper spray made for use against human attackers. For reference, the undiluted OC ranks roughly 3.2million on the Scoville scale (which measures spiciness). For reference, the spiciest habanero peppers only register around 200,000 on the said scale. That’s a lot of heat. These sprays can send a yellow cloud to an area around 18-40 ft in front of you. It can continuously send a spray for four to nine seconds, depending on the spray. If you spray it on the bear’s face or if the bear runs into the cloud, then you’re much safer. The cloud from bear spray causes an assault on the bear’s senses. They will feel an instantaneous, painful burning sensation in affected areas. Eyes, nose, lungs and affected patches of skin will experience this burning. The bear’s eyes will automatically close. Managing to hit a bear in the face will cause near certain temporary blindness in the bear as well as breathing problems because the spray will force the bear’s lungs to constrict and immediately secrete large amounts of mucus in an attempt to expel the chemical. This is all more than enough to give the bear enough of an incentive to forget about you for the time being and allow you sufficient time to escape. Of course, the effect of the spray is temporary and the bear will recover. But it will take time. When the bear has fully recovered, you will be long gone. Bear spray is also effective on other forms of wildlife that may be aggressive. In fact, bear spray is also commonly used on moose that can be quite aggressive especially around the period of rutting season. The worry is understandable. However, data suggests that bear spray is still the ideal deterrent and weapon against bears. Provided that your goal isn’t to kill a bear. Bear spray is an effective non-lethal deterrent against bears. Now, this isn’t just propaganda being spewed by conservationists. 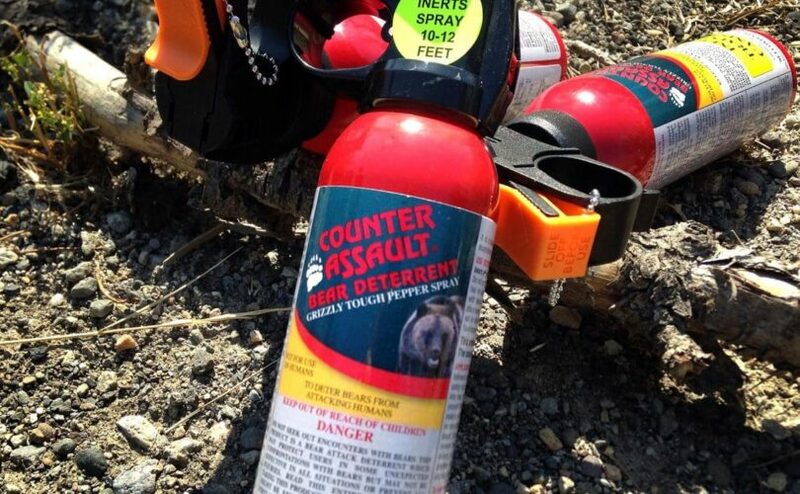 A growing body of research suggests that bear spray is an operative field tested option and this is backed up by hard data. 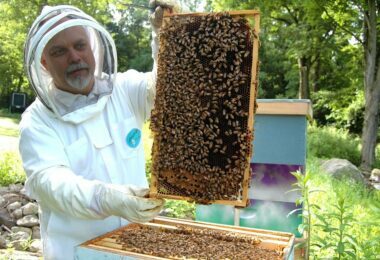 A study published in the Journal of Wildlife Management gathered data from state and federal records, anecdotal information, newspaper accounts and books which spanned the period between 1883 and 2009. Their analysis covered 444 people, 357 bears of the brown, black and polar varieties, plus 269 close encounters. In 151 of these incidents, there were bear-inflicted injuries. There were also 17 fatalities covered by the study. The study made several conclusions, two of which are of particular interest. 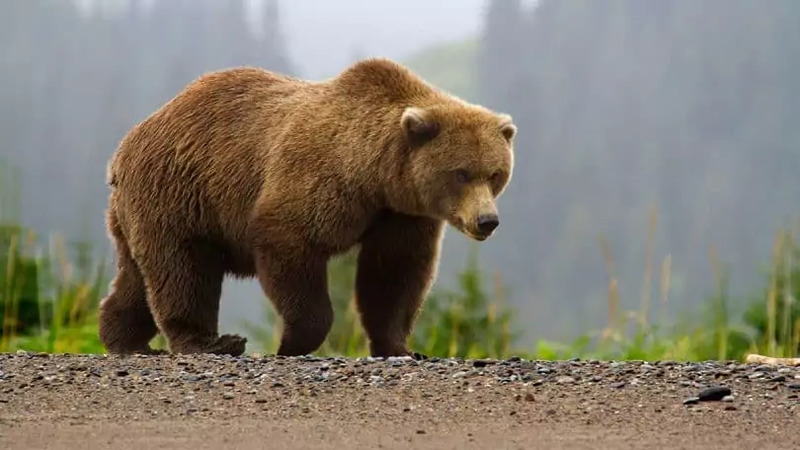 First, that firearm bearers suffered similar rates of injury in close encounters with bears whether they used their firearms or not and that bear spray has a better success rate under of variety of situations. In fact, bears have only managed to injure 2% of people who deployed bear spray versus 56% of people who deployed their firearms during a bear attack. Despite everything we’ve said, however, firearms/archery are still the only lethal way to take down a bear. 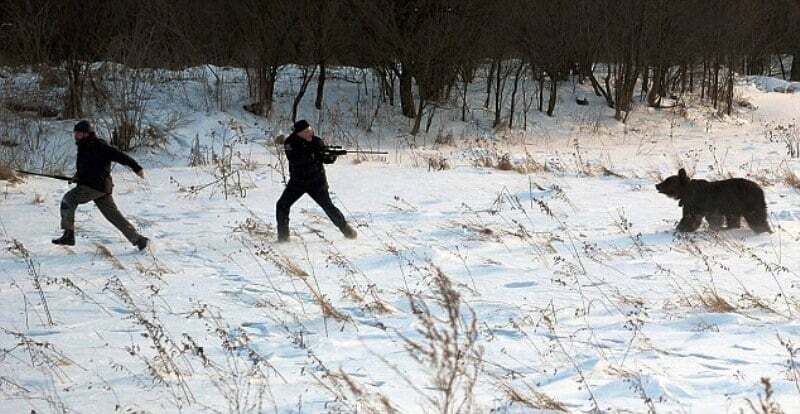 The crux is that if you aren’t hunting bear, or if you lack proficiency, attempting to use a gun on a bear in a close encounter is a very difficult prospect. 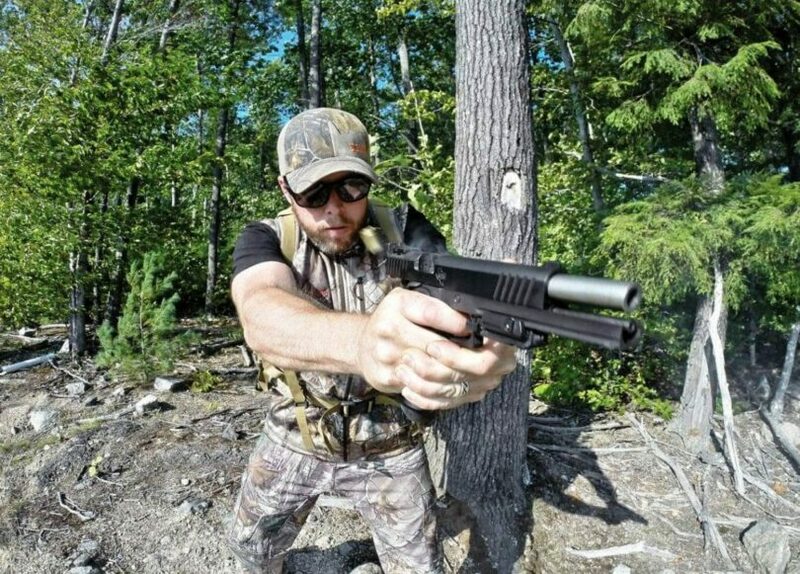 Even when positioned properly and holstered a pistol, or a long arm takes skill to aim at a stationary target. More so when it’s a 700 pounds of meat muscle claws and fangs barreling at you at 40 miles per hour while moving side to side. Now, you also have to consider the situation, you walk into camp and there’s a bear rummaging through your stuff or you just happen to get the drop on a sow and her cub. You’re very close to the bear. She’s agitated and probably considers you a threat to her cub. Your heart is racing, adrenaline is coursing through your system like crazy. The bear tries to charge at you. This rush, as does any high tension situation causes you to lose a big chunk of your motor skills. Professional soldiers and self-defense practitioners state that when you’re in a high-stress situation your capacity to perform what you’ve trained is only at 50%. Now imagine trying to take a shot at the bear under those circumstances. You switch the safety and take aim. The shot has to be made in a location that will down the bear or at least stop it from rushing towards you. Bears have thick hides and thick skulls as well. Chances are unless you’ve got an automatic weapon, you get only one shot and it better count. Otherwise, the bear will be on you in a matter of moments. Bear spray, on the other hand, blows a steady stream of a strong pepper spray towards the bear. Note that its effect on a bear’s stronger senses will be stronger than its effect on us. This is also considering that bear spray is 10x more potent than regular mace. The stream can also be deployed continuously meaning that its effect can increase as you continue to use it. In terms of deployment, it’s less to fumble with and requires far less training than with a firearm. By holding down on it, you create a steady stream which you can easily adjust to the bear’s trajectory. It’s far easier to get the bear to feel that spray. 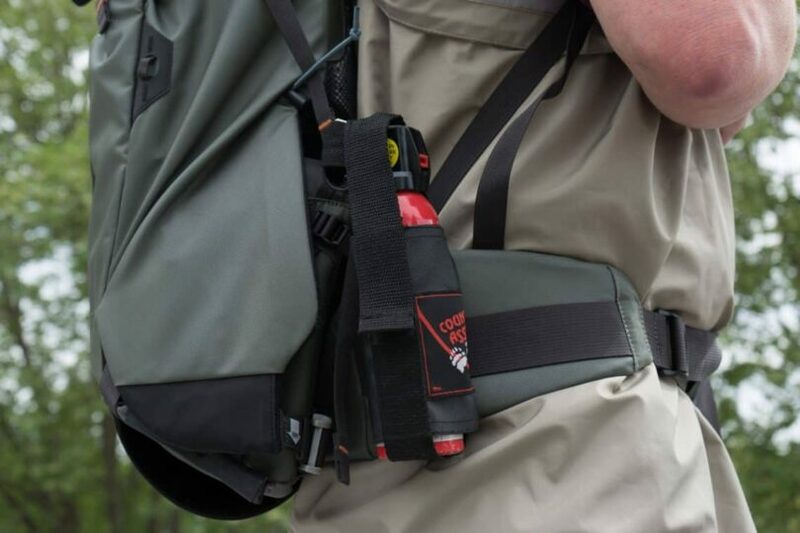 When you’re purchasing bear spray, it’s a good idea to get it with a holster. The effectiveness of bear spray is good for nothing if you aren’t able to deploy it quickly during a bear encounter. This means you can’t stuff it into your pack and still expect to use it when the need arises. You can have it in a highly accessible corner pocket, or in a fanny pack. But nothing will beat the ability to quickly draw it from a holster on your side. See our guide on how to use a pepper spray with utmost care. This won’t usually be a heavy concern in heavily wooded areas, but it’s still a potential concern nonetheless. The content of a canister is finite. So it will run out. If you use it while against strong winds chances are it won’t reach the bear. Worst, some of it may get blown onto you. If it hurts a bear that much, it’ll definitely hurt you too. Bear spray has an expiration date. The contents expire every four years. Not because the OC loses efficacy. It’s simply because the internal pressure weakens over time, and your ability to spray the liquid might be affected. It’s the same reason that fire extinguishers have to be checked regularly. When preparing to deploy the spray, try to get a feel for wind. If the wind isn’t very strong then chances are you’re pretty safe. Those are only some of the reasons we believe that bear spray is a good tool to deter bear attacks. For gun enthusiasts who scoff at the idea, it’s fine if you’ve absolute faith in your skill and your weapon. 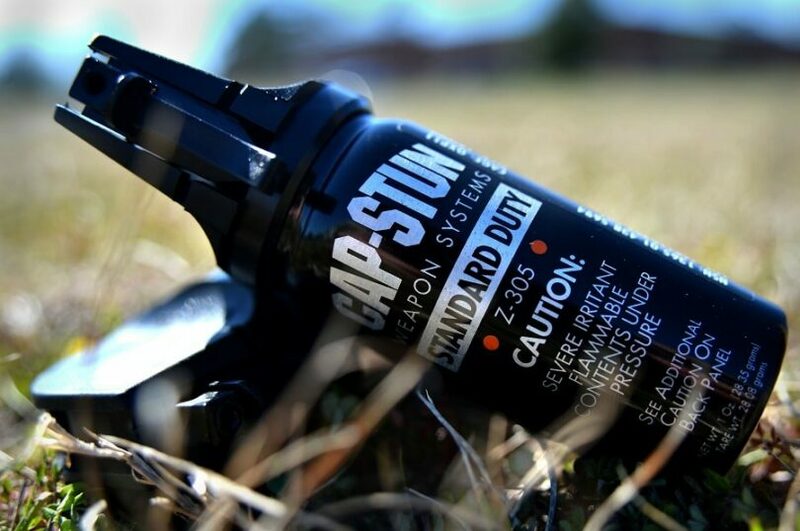 But for folks who aren’t trained to shoot or hunt, bear spray offers an easy to deploy non-lethal option that even a child can operate. 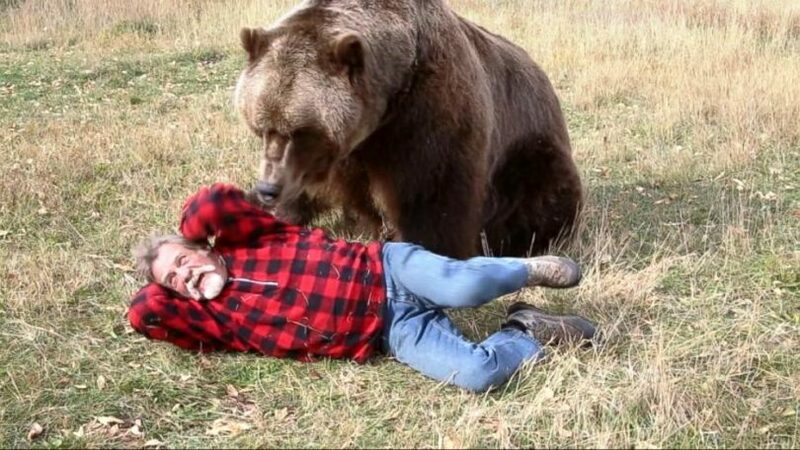 At the end of the day, what’s important during a bear attack is to maintain a level head and to remember that running should never be an option. 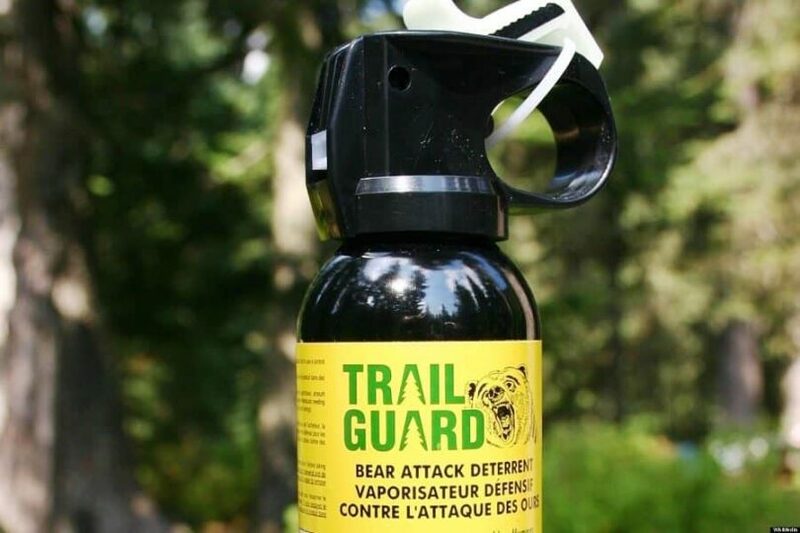 If you have a can of bear spray on you on your next hike, you should be good to go. For tips on how to survive a bear attack, do check on our earlier article to learn more.